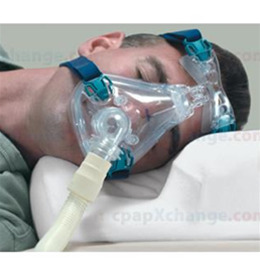 CPAP and BiPAP therapy are extremely effective forms of treatment for various forms of Sleep Apnea when used in compliance with doctors orders. However, non-compliance is a big issue. It has been estimated that over 65% of patients use the machine for a maximum of just 4 hours per night when it should be used for the duration of sleep. 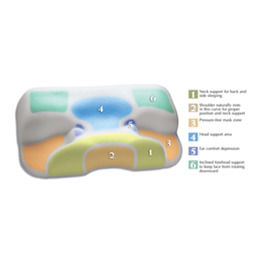 The Contour CPAP Pillow (formerly Contour CPAP Multi-Mask Sleep Aid) boasts a cushioned and supportive molded foam base plus a dual fabric design. The silky, quilted material follows the pillow’s contours so your CPAP mask and shoulders easily glide over these areas as you move throughout the night, while your head is cushioned by soft velour. This sleep apnea pillow promotes proper support and contact free CPAP/BiPAP use. The pillow cover easily zips off for washing. 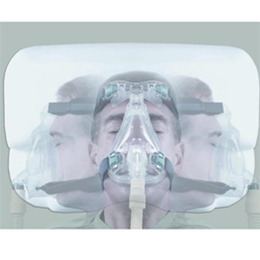 The Contour CPAP Pillow is a comfortable, soft pillow featuring cut-outs that allow your mask and tubing to fit properly without hitting, or becoming dislodged by, the pillow. In addition the Contour Pillow helps to keep the spine aligned throughout sleep to improve overall comfort.